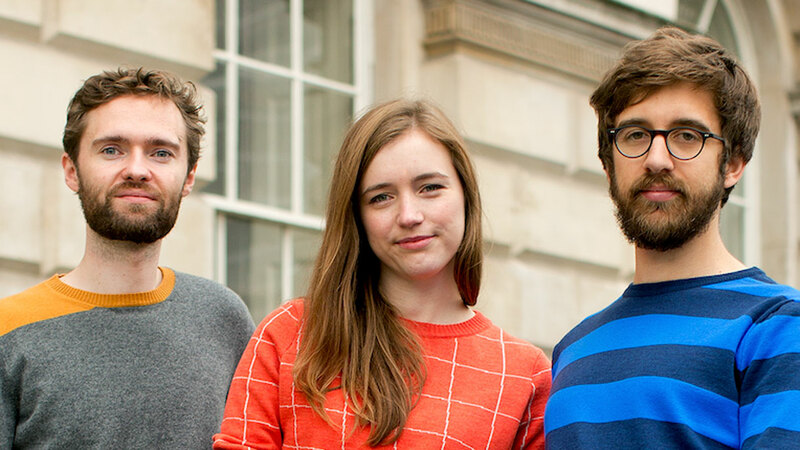 Unmade started life as a team of three young designers who became residents of Makerversity in 2013 to develop their plan to use industrial knitting machines as 3D printers for clothes. Makerversity is a membership based community of emerging maker businesses. Somerset House lease space to Makerversity for a peppercorn rent, which allows them to welcome around 160 members on to the site, sharing facilities, skills and resources to get new ideas and projects off the ground. Moving to Somerset House and having access to affordable space meant that Unmade could focus their efforts on producing new work. Working on multiple projects including robotic musical instruments and electronic toys in collaboration with Makerversity members allowed Unmade to funnel income from this new strand of work into forming a new company. Over the next two years they would take this model from that initial idea, build a prototype system of machinery and successfully raise their first round of investment, significantly outgrowing the original space in the process. When the Somerset House Trust offered Unmade the opportunity to show their work publically with a dedicated space in the New Wing in December 2014, it was a key turning point in the journey for the company. It allowed Unmade to showcase what they had been building and test their vision for bringing customers, designers and manufacturers together in one space. They were no longer just an idea on a sheet of paper, but a real genuine alternative to the current approach to how fashion is designed and made. This catalyst moment dramatically impacted the future of the company, enabling Unmade to raise the seed round of investment (£2m) from investors who really believed in the concept. It also allowed them to start conversations with other designers, brands and retailers which has taken them to the next level. Somerset House has committed to supporting Unmade throughout the next phase of their journey, offering subsidised space to expand over the next three years to increase their operations and expand their team to 25 staff. Remaining at Somerset House Studios offers the potential for unique and interesting collaborations and conversations that just don’t happen in other places, and offers the company stability and support in return for their contribution to the Somerset House learning programme at a crucial point in their young careers.